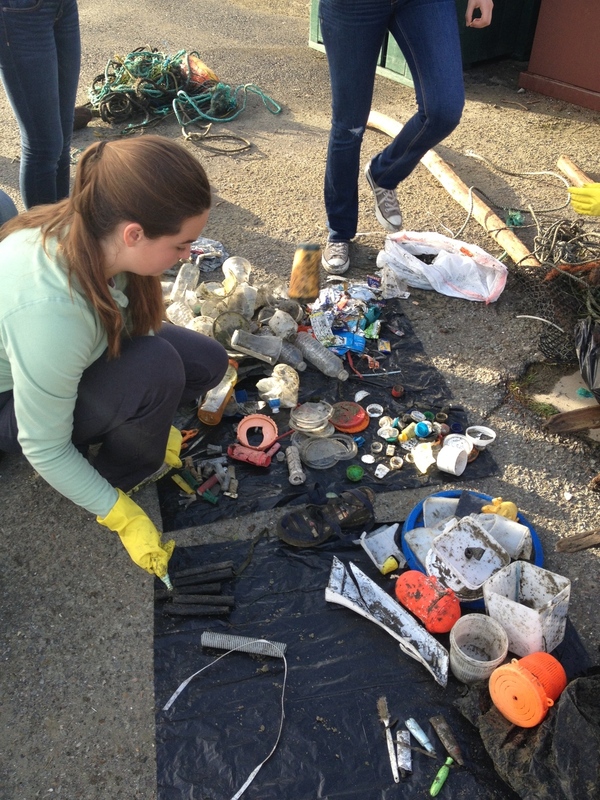 Teams of volunteers collected over 5,000 pieces of marine debris from Drakes Beach in June, July and August. Our volunteers counted, sorted and stored the marine debris and then embarked on a community mission to raise awareness about marine debris, single use plastics and Marine Protected Areas over the summer. The result, over 40 art pieces created by local community center summer camps, schools and youth constructed totally from materials picked up from Drakes Beach (exceptions paint and glue). This program was coordinated and run by our summer session college interns.